You'll notice the CVH difference when you walk into our hospital. The clean facility and friendly staff are only the backdrop to what goes on within its walls - exceptional health care delivered by exceptional people. Conway Veterinary Hospital was established in 2002 and is owned and operated by Dr. Bob Porter. 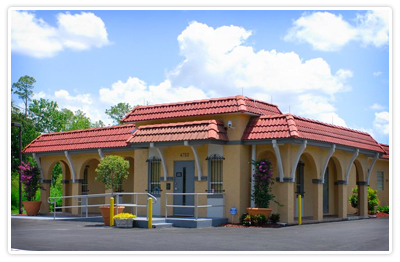 We are located southeast of Downtown Orlando, convenient to Orlando International Airport, Conway, Lee Vista, and Lake Nona areas. CVH was designed with the client and pet in mind. You'll find separate waiting areas for dogs and cats. Our spacious exam rooms comfortably accommodate pets with their human families - including those with strollers and wheelchairs!